In the mid-1800’s, artist James Walker produced a number of paintings that featured the Vaquero, master horsemen of Spanish blood who came to this country during the late 1500’s. 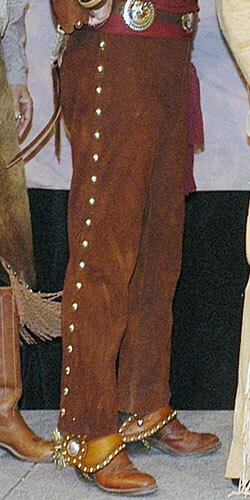 We owe much of our cowboy knowledge, culture and language to these riders who were descended from the knights of Spain. 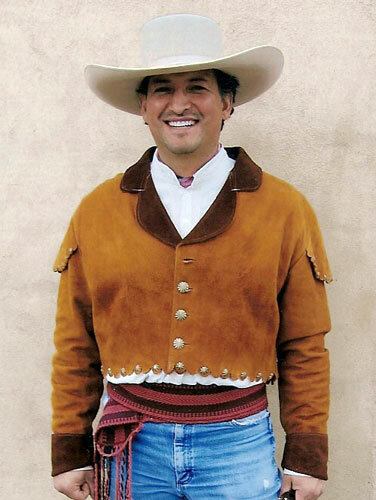 Michael J. Guli Designs vaquero clothing is inspired by these talented men who often wore their wealth on their body in the form of flashy clothing. 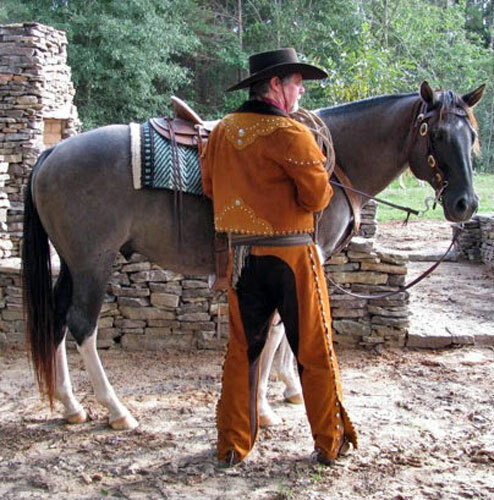 Made of ranch-raised deer hide, and decorated with nickel silver conchos, the vaquero short-waisted coat features beautiful details and would have been worn with a distinctive sash at the waist. 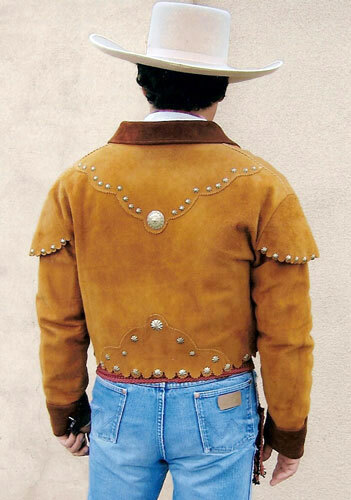 As in the past, this eye-catching coat is still all about confidence and attitude.